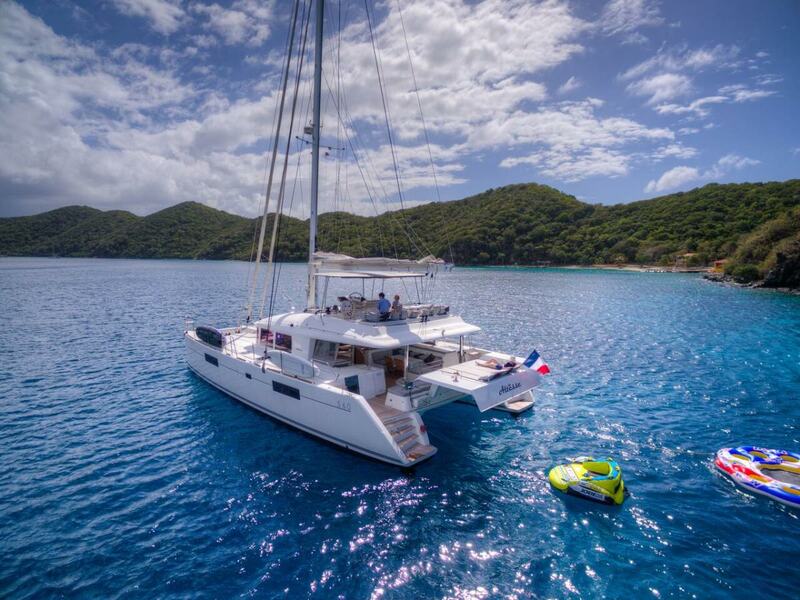 Lagoon catamarans combine comfort, ergonomics, and style with an unmatched layout. 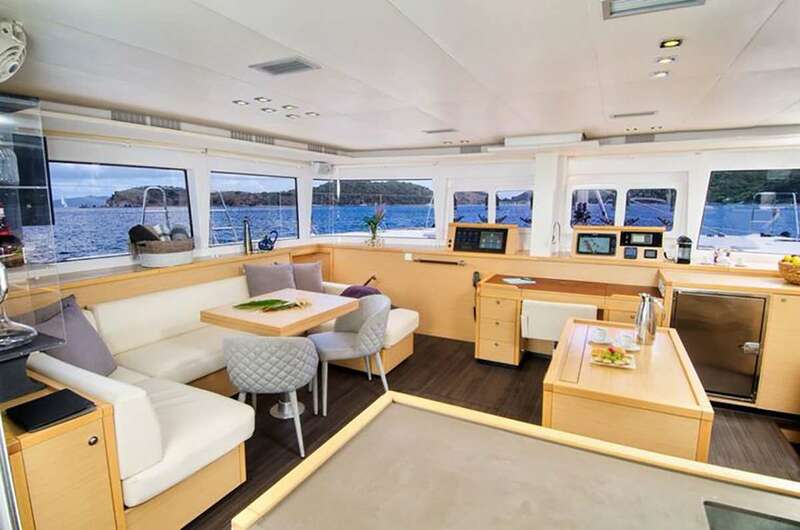 The Altesse offers a creative design that includes three separated living areas, an unobstructed view at anchor for sailing, a sunbathing area behind the helm and a cockpit that is accessible from both aft cabins. 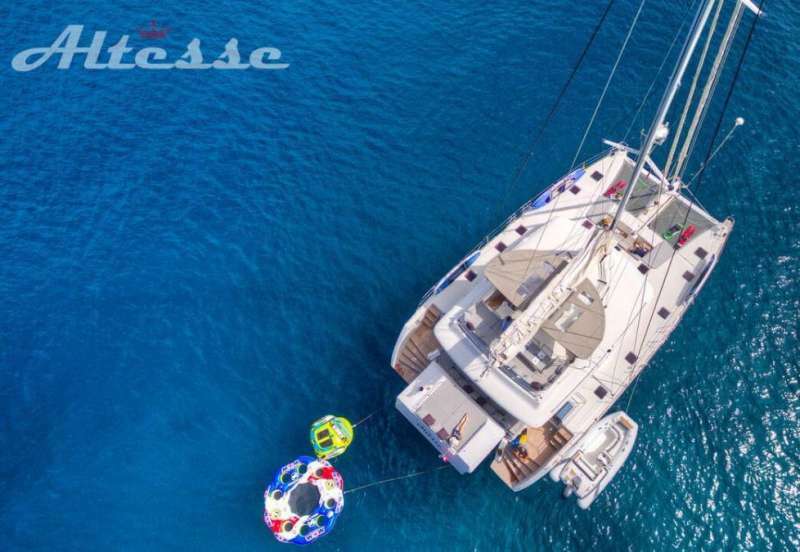 With a practical design and on-deck safety components the Altesse’s elegant yet functional use of space cannot be beat. 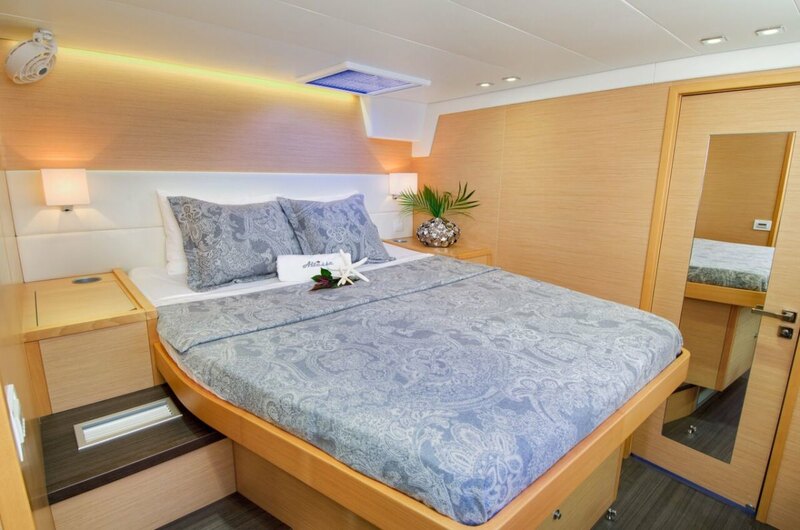 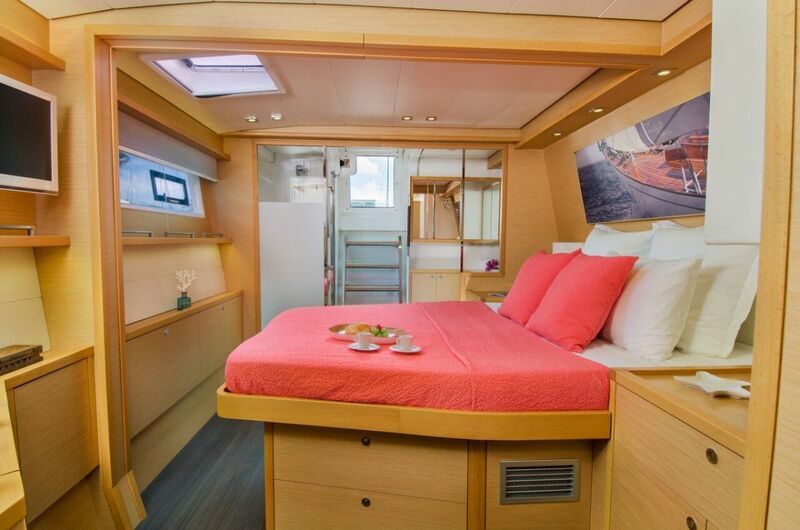 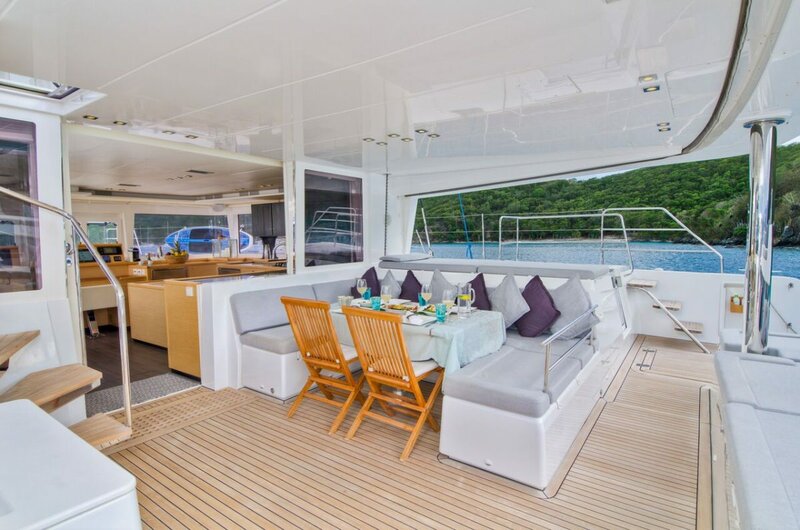 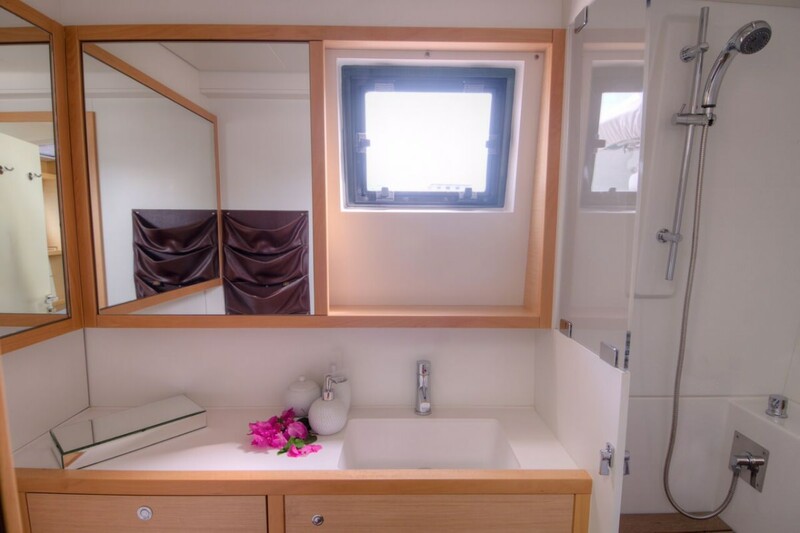 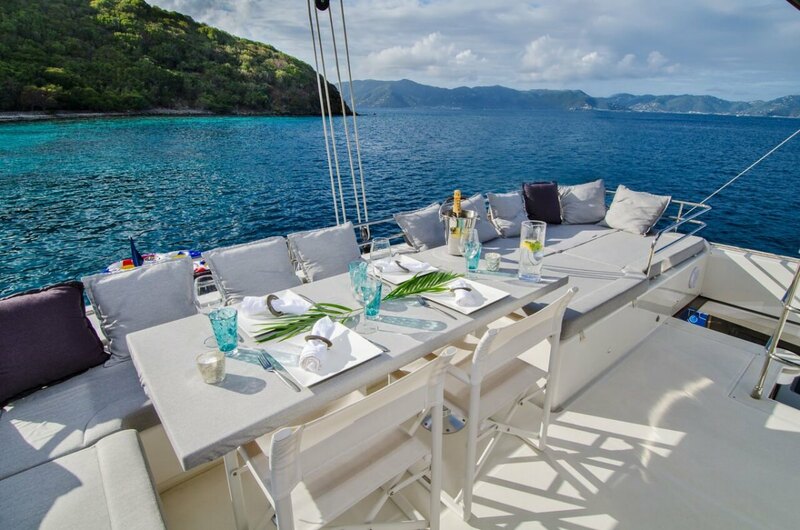 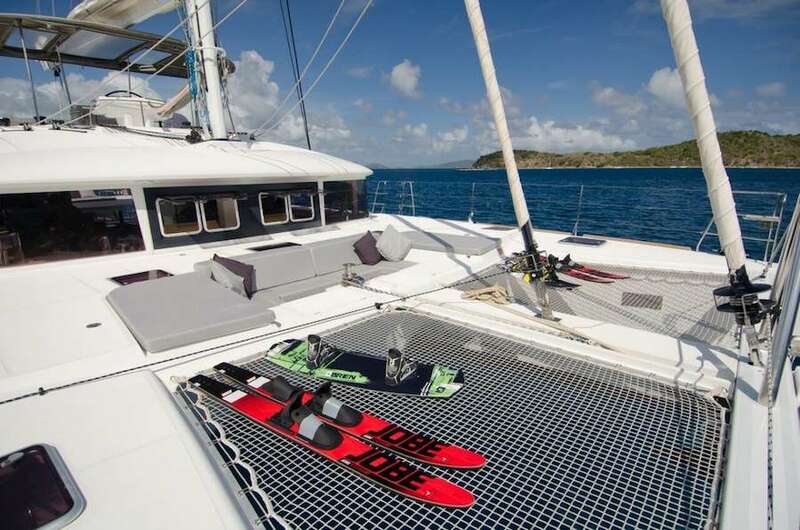 Not only that, this 56’ catamaran offers room for up to eight guests and provides a crew of two. 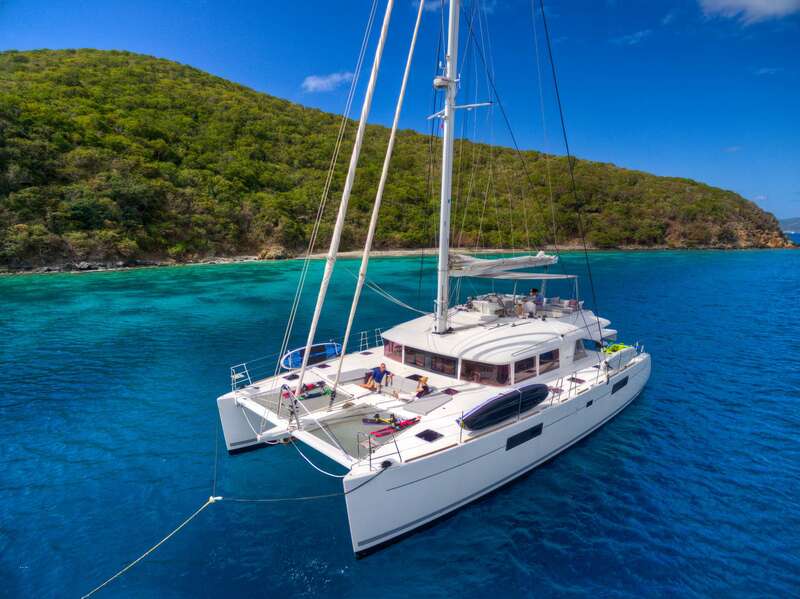 With more than 100 charters in the BVI under their belts, Sarah and Richard are a highly experienced, award-winning charter crew, and recipients of the 2012 ‘Crew of the Year’ award. 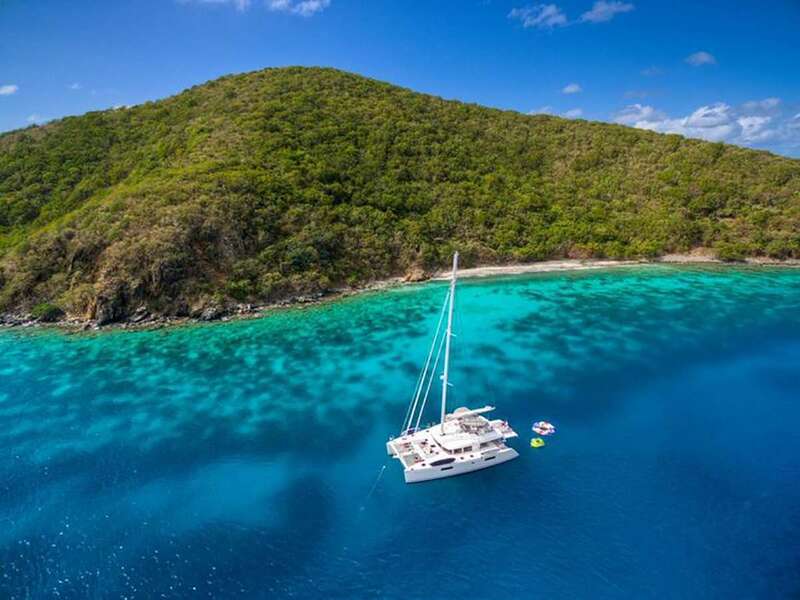 As an accomplished captain, sailor, and divemaster, Richard has sailed in both the Mediterranean and Caribbean and has extensive knowledge of the BVI. 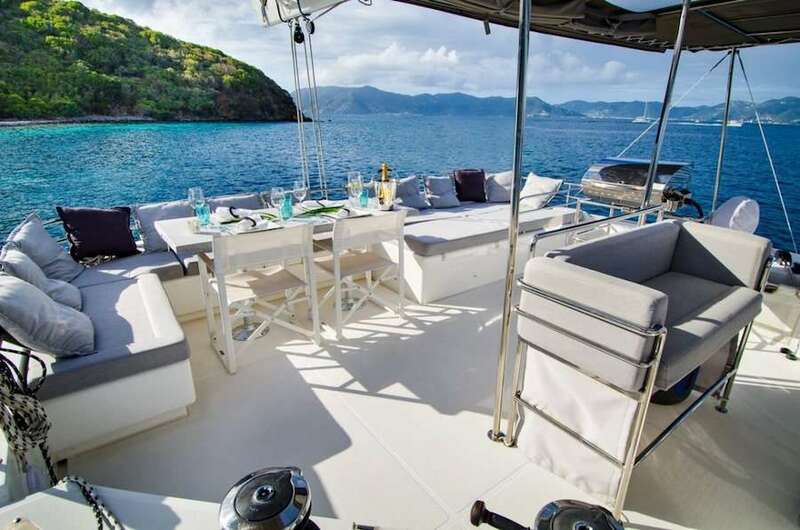 He can show you everything from the popular hot spots to the quiet, lesser-known coves. 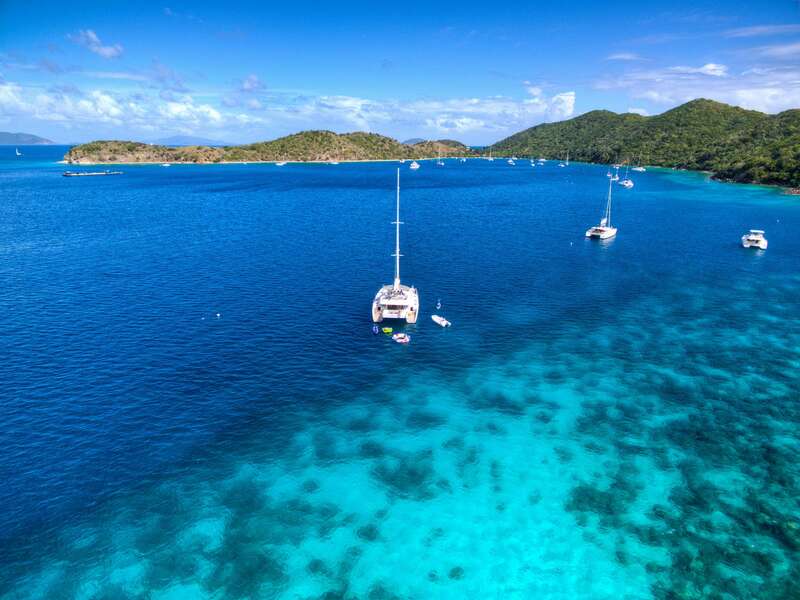 As an internationally trained lifeguard, and skilled diver (with over 200 dives), he also has the knowledge to teach and guide even the most inexperienced divers. 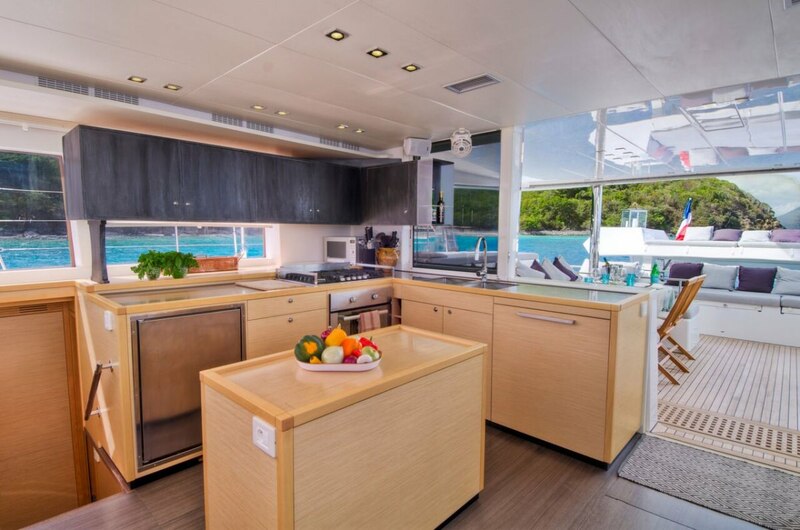 Sarah is a professionally-trained First Mate Chef with a passion for food and cooking. 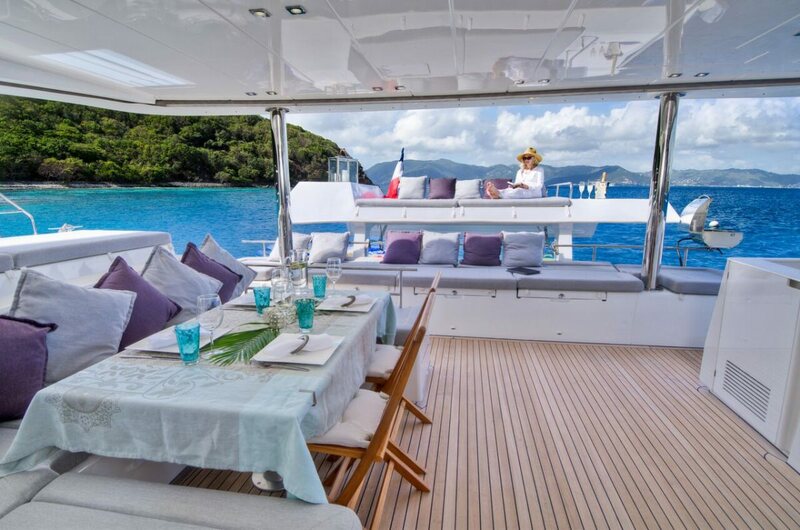 She loves to adapt menus to suit the tastes of guests on board. 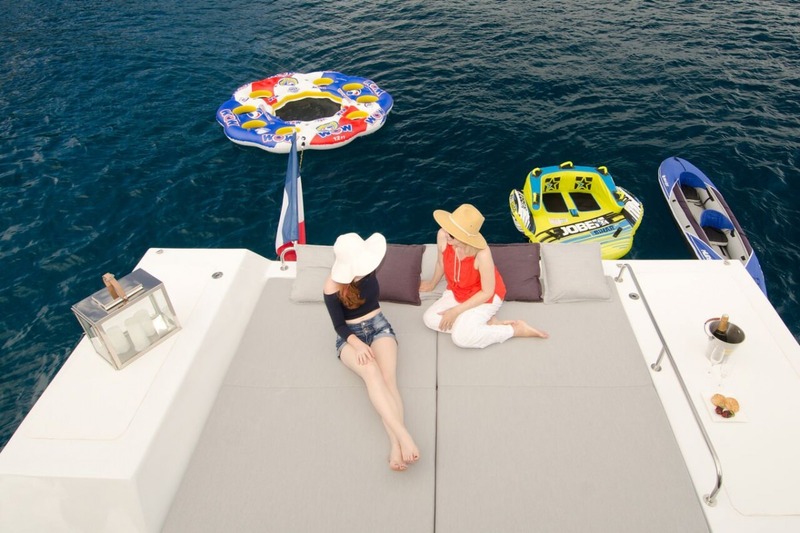 Like Richard, she is a total ‘people-person’ and she’s motivated to deliver personal touches to turn each vacation into an unforgettable one. 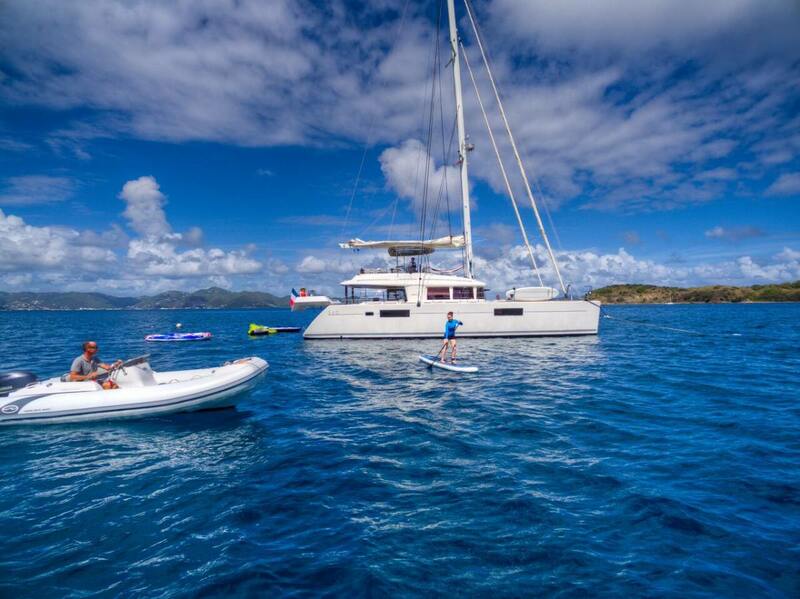 Extremely energetic and positive, Sarah is always up for an adventure! 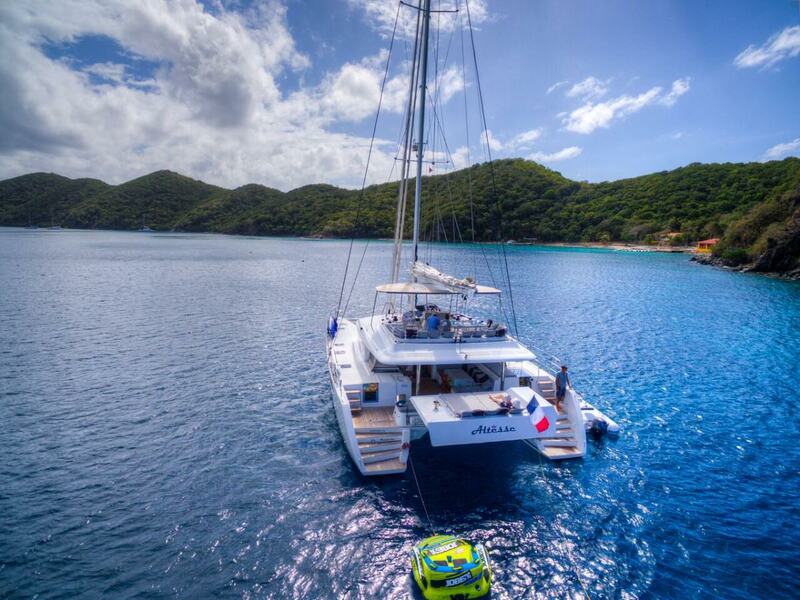 Sarah and Richard have been married since 2003 and are the perfect team to make your next trip an amazing one. 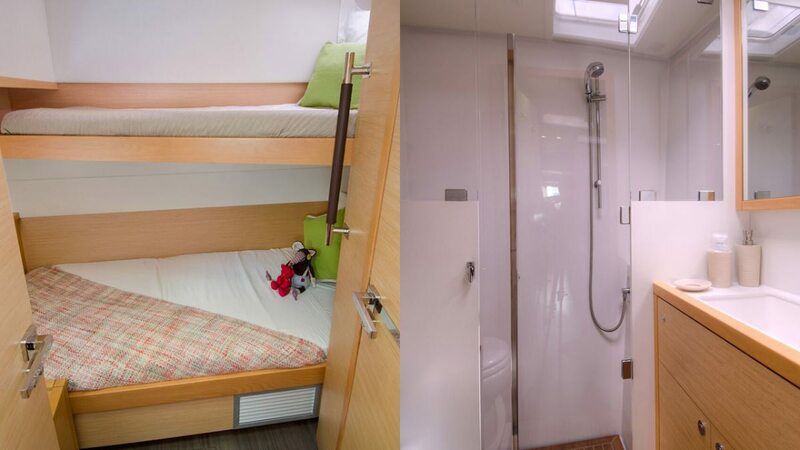 With top notch professionalism, they both take great pride in their work and ability to please each guest.